Pharmacy technicians perform pharmacy-related functions under the direction of a licensed pharmacist. They dispense prescription medication to patients and give advice on proper use. They also perform administrative duties, such as reviewing prescription requests, consulting with insurance companies, following up with payments, and managing inventory. Due to the greater scope of practice, Georgia’s Board of Pharmacy, like other state pharmacy boards, regulates the training and licensing of pharmacy technicians. Training equips students with the skills to support licensed pharmacist in retail pharmacies, hospitals and assisted living facilities. Apart from learning the technical skills, students must develop effective communication skills, which is essential for delivering safe and effective care. The Board of Pharmacy requires all persons working with licensed pharmacies to register with the State Board. The law applies to individuals performing any pharmacy-related activities at retail, hospital, and commercial pharmacy locations. Prospective technicians must submit their applications online, through the Pharmacy Board’s website, pay the applicable fees and submit the requested documents. The Board makes a list of registered Pharmacy Technicians available on their website for employers to verify a prospective employee’s status before hire. 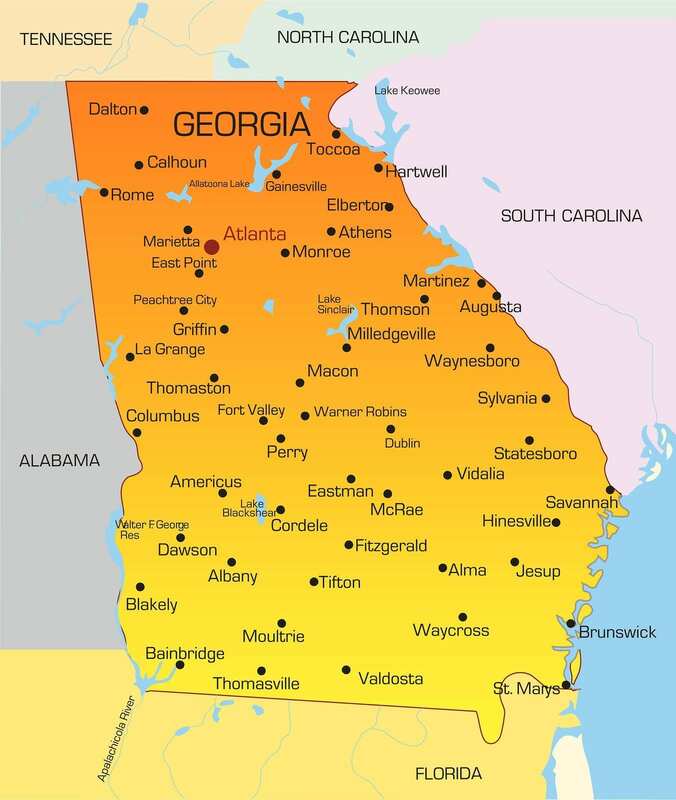 Unlike other states, Georgia does not require technicians to undergo formal training before registration. However, applicants must submit proof of completing high school or GED. The Board also recognizes PTCB certification although it is not mandatory. Keep in mind that employers may favor trained and certified candidates during the recruiting process. Applicants must be at least 18 years old to register as a pharmacy technician in Georgia. Candidates not enrolled in a high school at the time of application must submit proof a high school education or GED equivalent along with any postsecondary education or college degree. 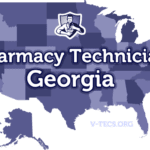 While Georgia does not require applicants to submit proof of pharmacy technician training as a requirement for registration, the training will help students prepare for the national PTCB exam, which Georgia recognizes. Applicants must agree to provide information required for a criminal background check, through Cogent Systems/GAPS, which will include a review of the applicant’s criminal history, driver license history and any other information the board deems necessary. The Board can deny the applicant’s request or grant registration with conditions. Prior convictions and guilty pleas related to misdemeanor crimes of moral turpitude or marijuana may lead to denial of the application for registration. Pharmacy technician training, while not required in Georgia, takes students from the classroom to a successful career in the shortest possible time. There are a number of pharmacy technician training programs in Georgia that are accredited by the American Society of Health System Pharmacists (ASHP). 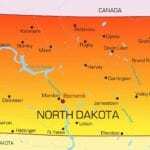 These programs are available at community colleges and vocational schools. The programs prepare students for the National Pharmacy Technician Certification Examination (CPhT), administered by the PTCB. Many employers across Georgia recognize and favor prospective employees who obtain PTCB certification. Industry-centered training prepares graduates for careers in various pharmacy settings, including hospital, community, and long-term care pharmacies. The courses provide current and relevant information, covering all aspects of pharmacy care, including inventory management, software systems, customer care, physiology, ethics, infection control, pharmacology, medical terminology, and pharmacy calculations. The experiential component of the training lets students work for a stipulated period in a retail or hospital setting to develop skills in a real-world environment. The cost and duration of training depends on the type of program – certificate, diploma or degree programs. The tuition at Georgia’s accredited colleges cost an average of $4,500 for tuition only. After adding other costs, such as textbooks, supplies, uniform, registration fee, CPR, background check, drug screening and immunization, the final cost of training is an estimated $5,200. Financial aid may be available for qualifying students. Most programs may be completed in just 6 months, but some cover at least 10-12 months of training, including the externship. Graduates may earn credits, which they can transfer in pharmacy degree programs. Georgia recognizes the PTCB exam, which provides national certification to all successful candidates. The exam contains 90 multiple choice questions that test your skills and knowledge of nine knowledge domains: Pharmacology, Pharmacy Law, Compounding, Medication Safety, Quality Assurance, Order Entry and Filling, Inventory Management, Billing and Reimbursement, and Pharmacy Systems. Ten questions are for statistical analysis only and will not count toward your score. There are several versions of the two-hour exam, and you must score at least 650 out of 900 possible points to pass the exam. Like Georgia’s Board of Pharmacy, the PTCB does not require formal training before challenging the exam. However, there are benefits of training, including hands-on experience, opportunities for continuing education, and competitive advantage. If you pass the PTCB national exam, you may use the CPhT credential. The non-refundable application fee of $100. Make the check or money order payable to the Georgia State Board of Pharmacy. A notarized paper application signed in the presence of a notary. Details of employment. Provide the license number of the pharmacy where you work. The application remains valid for one year. The application will become void if the applicant fails to provide outstanding documents within the period. After your initial registration, the license to work is renewable biennially. You must submit the renewal application on time for the renewal to process by June 30th on odd numbered years. Submit your renewal fee of $60 to the board, and your registration will be updated. Georgia has no continuing education requirements for renewal. If you must change your name or address, you should send a letter to the Board, within 10 days of the change, to update your status. The fee for late registration is $90. The Board of Pharmacy does not allow pharmacy technicians from other states to transfer their registration to Georgia. If you move to the state, you must submit a request to the Board and meet all the requirements for in-state registration.